When you need mobile car window services in Palmerston, call on the team at National Windscreens. Our services include windscreen chip repair, car window tinting, windscreen replacement and more. Whatever car make and model you own, you can rest assured we’ll be able to source the glass for it. Servicing the entire Palmerston region, we can also provide assistance to locals in the surrounding areas of Pinelands, Tivendale, Holtze, Durack, Elrundie, Driver, Gunn, Farrar and Yarrawonga. No matter what you need, you can rely on our team to get your vehicle back on the road as soon as possible. 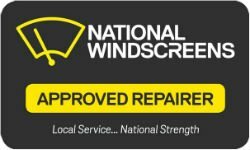 National Windscreens is proud to be one of the biggest providers of windshield repair and emergency windscreen replacement in Palmerston. In addition to our years of experience, we hold accredited memberships with the Auto Glass Association and the National Windscreen Group. We’re also dedicated to continually growing our local knowledge and experience while delivering superior customer service combined with competitive pricing. Choose the team at National Windscreens when you need prompt windscreen repair or windscreen replacement in Palmerston and surrounds. Call us now on 1300 36 36 32 or make a booking online.